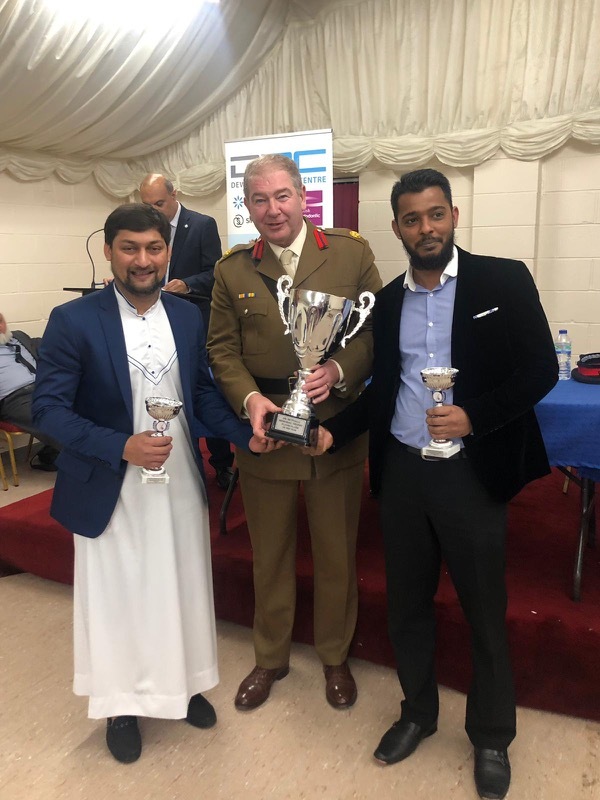 Mount Cricket Club held its annual community presentation evening at the Al-Hikmah Centre, Batley. The Club was first established by two enthusiastic cricketers Mr Hanif Mayet (who continues to be its Chairman) and the late Farid Karolia together with some of their friends. Since then the Club has progressed through various Yorkshire leagues and now plays its senior cricket in the Halifax Cricket League (HCL) winning many trophies, friends and supporters along the way in England and increasingly abroad. In attendance were members of the community including men, women, boys and girls together with a whole host of community, voluntary, statutory organisation and public/private businesses including enterprises and local schools. During the evening of Saturday 12th January 2019 two special messages of support and appreciation to the work the Club does for and with its community were read out from Colin Graves, Chairman of the England and Wales Cricket Board and Baroness Patricia Janet Scotland QC, through the Commonwealth of Nation’s Secretariat and the Peace at the Crease Team. 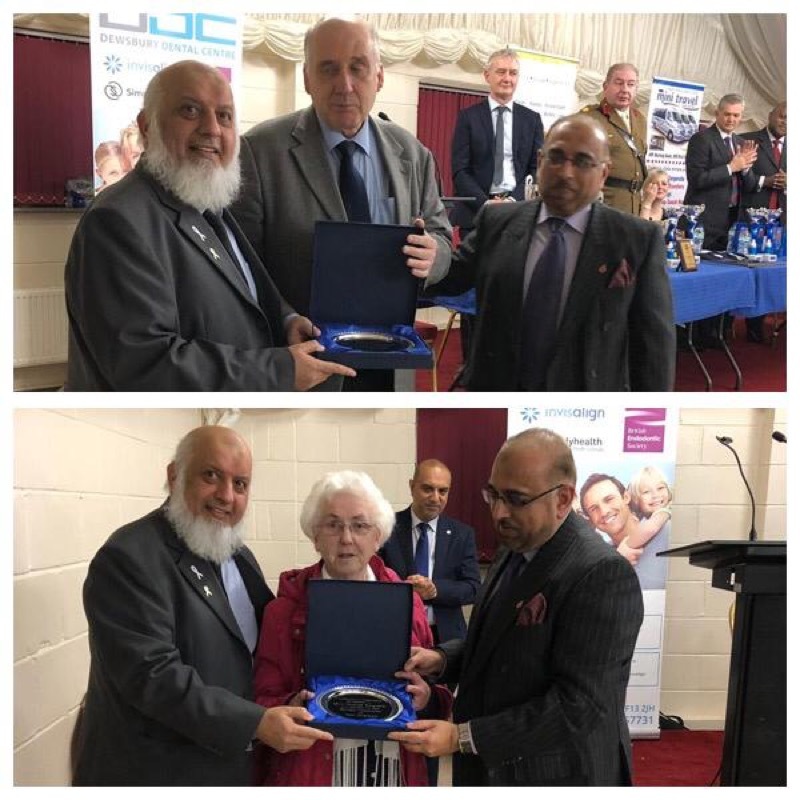 One of the highlight of the evening were the Community Champion Awards given on the night to two exceptional individuals who given so much service to and for the local Muslim community. Ian Brodie, responsible for the provision of a multi faith room in Pinderfield Hospital, Wakefield, received an award; Sheila Acquith, responsible for helping and supporting local Asian women with English speaking and sewing machine classes when they arrived from the Indian Sub Continent in the early 1970s and 1980s was also honoured with an accolade. Attendees heard of the work the club is engaged with in promoting inclusivity and to open cricket opportunities to all sections of the community including girls, women, children with disabilities and for the over 50s. The audience heard about its participation in the 4th Light of Faith Tour with the Vatican’s St Peter’s Cricket Team and retaining the ‘Sir John Major Friendship Club’. Zahed Lorgat of JM Financial talked about his involvement with the Club during the tour to Corfu, Greece and was proud to be supporting the Club even though he now lives in London. During the Corfu tour the Club’s coaches led by Mrs Rizwana Patel also undertook two coaching sessions with school children. Hanif Mayet, Chairman of the Club commented as follows: “We’re really pleased that as a club we provide participation opportunities into sport especially for women, girls and children from the age of five onwards”. 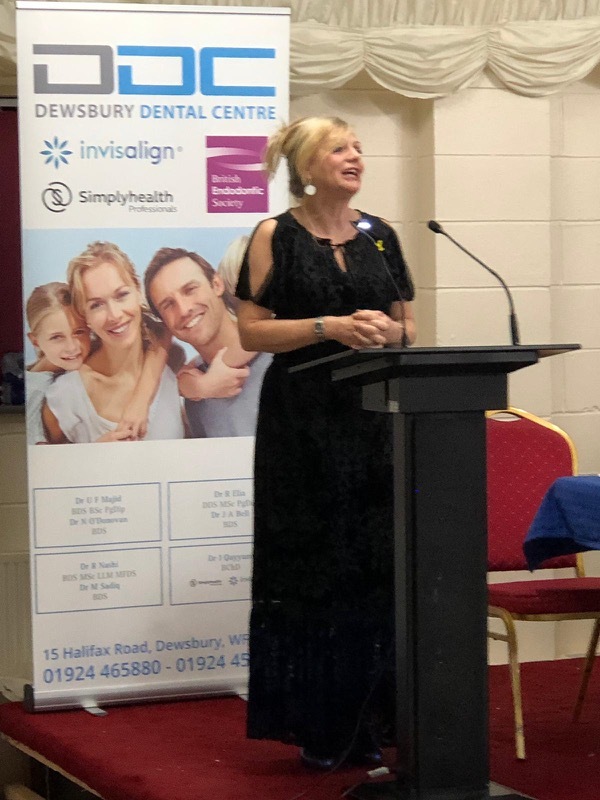 Tracy Brabin, Batley & Spen MP & Shadow Minister for Early Years, attending for the first time commented that: “It was an absolute privilege to be asked to speech at Mount’s presentation evening at what was a wonderful occasion celebrating their commitment to the community it serves. It was also fantastic to celebrate women and girls in sport, something the Club continues to embrace as it moves forward with new partnerships”. Mark Arthur, Chief Executive of Yorkshire Cricket Club, who attended with his wife Debbie, had the following to say: “Another great evening at Mount celebrating a year of achievement both on and off the Field of Dreams. Their progress with girls and women cricket and personal development is commendable”. 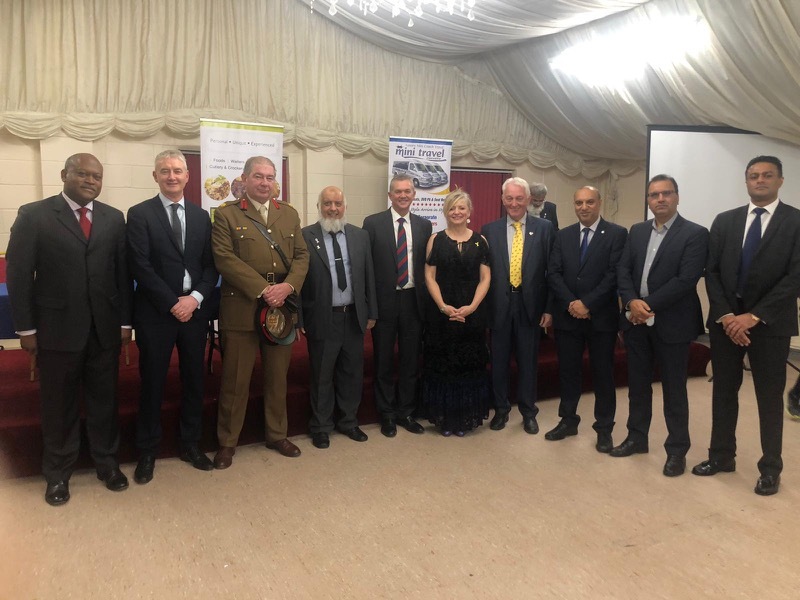 David Pearson JP, DL, FRSA, A Deputy Lieutenant for West Yorkshire commented: “Not only were cricketing achievements celebrated, but recognition was given to a number of people who had selflessly served the local community. “The Lieutenancy is always pleased to be associated with such recognition and we are very grateful for the invitation for one of its officers to represent Her Majesty at this most enjoyable event”. Jules Preston, Chairman of the Mid Yorkshire NHS Trust attending for the first time said: “It was very inspiring to attend Mount’s presentation evening. 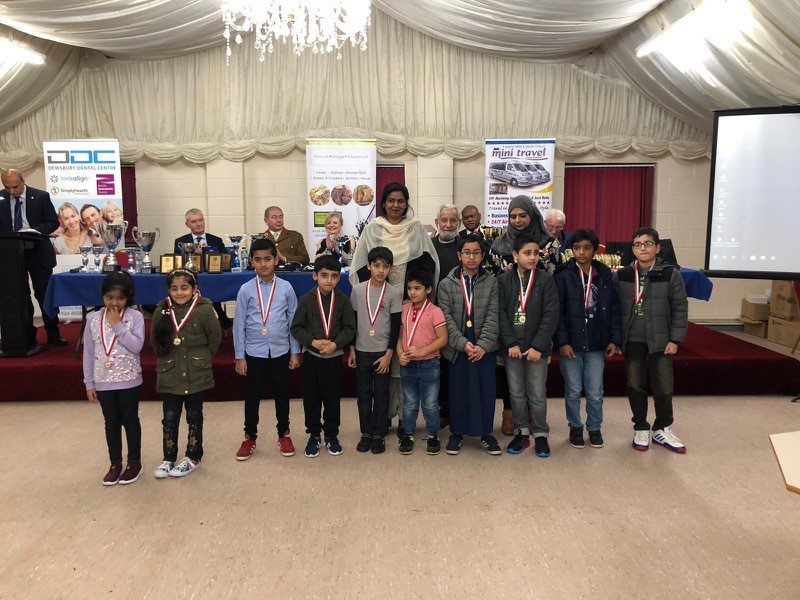 “Seeing the young people receiving their medals and trophies brought home to me how the values of developing healthy bodies and healthy minds, of tackling inequalities in communities closely mirrors the values of the NHS”. Cllr Fazila Loonat, from Kirklees Council commented as follows: “It was an absolute pleasure to join the Mount Family celebrating another year of success on and off the pitch. The teams have gone from strength to strength doing fantastic work to bring communities together through cricket and tackling issues around cohesion and health. The highlight for me was the awarding of the Community Champion Awards to the two exceptional individuals (Sheila & Ian) to whom we owe a great deal of gratitude”. In presenting the 1st Team Cup Anthony Briggs, Chairman of the HCL commented: “On behalf of the league can I extend a massive thank you for the invitation to Mount Cricket Club’s presentation evening which was an excellent and enjoyable evening. “On top of this you secure speakers such as the local MP Tracy Brabin, Jules Preston the Chairman of the Mid Yorkshire NHS Trust and Mark Arthur from Yorkshire Cricket. “This is testament to the connections you have and the great work you do in the local community. We look forward to attending again next year and you never know perhaps you will have more success on the field to celebrate, all the best for the forthcoming season”. Abdul A Ravat, Mount’s Development Officer and who played host for the evening was delighted and stated that: “The presentation evening is a keenly awaited occasion where we celebrate the Club’s achievements both on and off the pitch. “We are proud of our objective to make cricket accessible to all and will continue to involve ourselves with wider community activities. Going forward we would like to do more than what we are currently doing from our base at the Field of Dream and will work with the ECB under its South Asian Strategy, with Yorkshire Cricket, Kirklees Council and others. Imagine what we could do for our community if we had the proper tools”. • 4 players were voted on an independent poll run by CricInfo’s ‘performance of the week’. They were Soyeb Gheewala; Ismail Mayet; Jabir Patel and Siraj Patel and were awarded their unique caps from Tracy Brabin MP. • Soyeb Gheewala and Jabir Patel both shared the Dr Motawali ‘Players of the Season Cup’ with amazing battling: o Soyeb scored 1,057 runs with an average of 81.1, including 3 centuries and 3 more scores of 50 and more with a highest score of 170 not out; and Jabir scored 1,248 runs with an average of 96, including 6 hundreds and 3 more scores of 50 and over with a highest score of 192 not out.